Lenny Kravitz is an American singer and songwriter. His music covers a wide range of genres including rock, blues, funk, R&B, pop, soul and jazz. He performs as a vocalist but in the studio he plays a variety of instruments including guitar, bass, keyboards and drums. 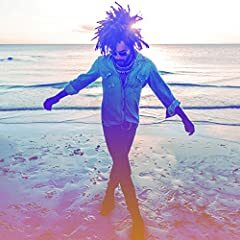 Kravitz has been active in the music industry since 1988 and has released 10 studio albums. He won four consecutive Best Male Rock Vocal Performance Grammy Awards from 1999 to 2002. This is actually a cover version of The Guess Who's song. Kravitz made it heavier with a catchy beat and most people seem to love this version. When you listen to the lyrics though it's more political and not at all flattering towards Americans! The artist wonders, why the world's way of thinking has to be this way, obligations, trouble and hatred. He invites us all to "go his way", let go, have some fun, let love bloom.